(MENAFN - Morocco World News) ">Rabat – The resolution called for Algeria, along with Mauritania, Morocco, and Polisario to 'work constructively' with the personal envoy for Western Sahara, Horst Kohler. The aim is to find an agreed upon and mutually acceptable solution to the conflict. The Algerian government was not pleased to find itself mentioned in the resolution as a country that should contribute to the UN-led political process. Algeria's Ministry of Foreign Affairs defied the Security Council's proposal in a statement on November 1. The statement, however, ignored that the resolution did not exempt Algeria and Mauritania from taking part in the talks to help Kohler and UN Secretary-General Antonio Guterres to 'ensure a successful outcome,' through the duration of the UN-led process. It is not the first time that Algeria has denied its role in the conflict. In recent years, Morocco has been calling on Algiers to bear full responsibility and act within the framework of the UN to contribute to the process. The resolution also came in conjunction with Morocco's preparation to celebrate the 43rd anniversary of the Green March on Tuesday, November 6. The event commemorates Moroccans' retaking Western Sahara after the Spanish left in 1975. Analysts say this resolution carries significant weight for Morocco's diplomacy. Moussaoui El Ajlaoui, a Moroccan expert on the Western Sahara issue, told Morocco World News that the resolution complements Guterres' report, which he submitted to the Security Council on October 3. A cursory reading of the report, according to El Ajlaoui, affirms that both the resolution and the report are positive for Morocco's position. 'It is the first time that the Security Council called on Algeria to bear responsibility as it is mentioned along with the Frente Polisario, Mauritania, and Morocco in the resolution,'El Ajlaoui said. Like El Ajlaoui, political analyst Dr. Abdelfattah El Fatihi emphasized the importance of Algeria's presence at the round-table as a 'main' party and not an 'observer' as the resolution breaks Algeria's precondition of being an observer. El Fatihi told MWN that Algeria's inclusion in the resolution frustrates Polisario's plan to sit at the round-table as a legitimate representative of the Sahrawis. El Fatihi added that placing responsibility on Algeria to contribute to the UN-led political process would ease pressure about future negotiations because Morocco has always refused to take part in future negotiations with Polisario only. 'Resolution 2440 adopted a realistic approach that should frame any discussions to find a political solution to the Sahara conflict, moving away from the traditional and radical viewpoint that the Frente POLISARIO repeats' to defend its separatist ideology. He noted that the resolution reiterates the position of former Dutch diplomat, Peter Van Walsum, who served as the UN Personal Envoy for Western Sahara 2005-2008. Since 2007, Morocco has relentlessly tried to convince the international community that its autonomy plan is serious and credible. Rabat has maintained that the solution for Western Sahara should be local autonomy under Moroccan sovereignty. It has also ruled out independence and a referendum, which has long been sought by the separatist group. For El Fatihi, the resolution is aware of Morocco's demand, which is to invite Algeria to negotiations to find a sustainable solution. The resolution also acknowledges that the conflict is regional, El Fatihi said, agreeing with El Ajlaoui. 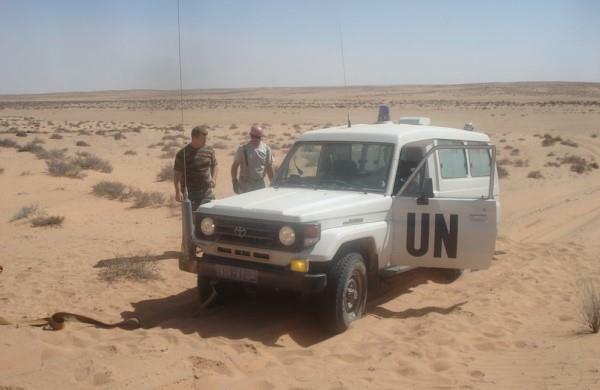 To justify its illegal presence east of Morocco's defense wall, the Polisario Front claims some areas as 'liberated zones,' including Bir Lahlou and Tifariti. Resolution 2440 pressures Polisario to stop any activity that might destabilize the status quo of the region. The resolution 'further calls on the Frente POLISARIO to fully adhere to its commitments to the Personal Envoy with respect to Bir Lahlou, Tifariti, and the buffer strip at Guerguerat,' reads the second part of operative paragraph 7. El Ajlaoui said that it is clear that the resolution calls on Polisario not to 'construct any facility in the region' in his words. The zones are part of Western Sahara, east of the Moroccan berm, and west and northwest of the borders with Algeria and Mauritania. El Ajlaoui added that there is a huge difference between a neighboring country and an observer country. He said that the language used in the resolution calls on Algeria to bear responsibility in the conflict as a neighboring country and contribute to the political process and not only act as an observer. On December 5-6, all parties, without precondition, will sit at the round table for talks. Morocco's Minister of Foreign Affairs Nasser Bourita has already made it clear on what the Moroccan representatives will discuss during the roundtable. He said that Morocco will participate in the roundtable to remind the parties and the UN of its firm position. Morocco, Bourita has stressed, will not accept any solution that is against its sovereignty.